Phytoremediation is a sustainable way to mitigate societal and environmental harm from soil pollution with metal trace elements. Yet, limited knowledge of plant adaptation to excess metals limits the efficiency and broad application of this emergent technique. This interdisciplinary project unites leading research and commercial partners in a combined study of the genetic basis and physiological mechanisms of zinc accumulation in a model species. 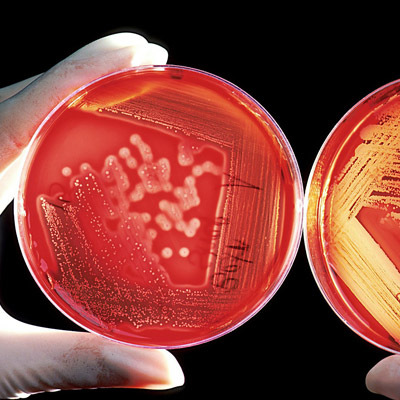 The global industrial revolution has led to an unprecedented release of toxic substances into the environment. The far-reaching consequences of this pollution include soil contamination with hazardous waste, that threatens environmental and human health around the world. In the European Union alone, 0.5 Mio sites have been classified as highly contaminated and needing remediation. Among pollutants, metal trace elements are of major concern, as they hazard humans through direct contact with contaminated soil or ground water, ingestion via the food chain, reduction in food quality, and land tenure problems. With increasing public awareness of the threats couching in polluted environments, there is a growing demand for improved technologies to remediate contaminated sites. 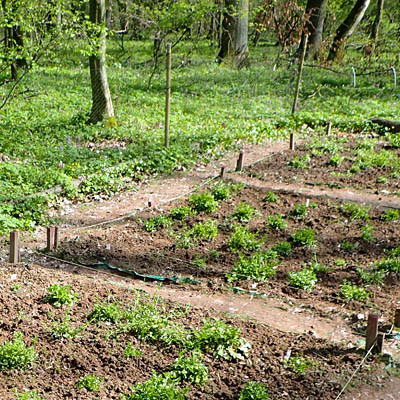 In particular, people search for cost-effective alternatives to traditional restoration methods that require large financial investments and may not be harmless themselves. The potential of hyperaccumulators (= plants such as Arabidopsis halleri * that can allocate large amounts of metals and store them in leaves) to be applied in phytoremediation efforts is thus of great research and commercial interest. Yet, the genetic basis and physiological expression of the metal tolerance and hyperaccumulation traits are to date insufficiently understood. The overall goal of the AriaDNA project is to advance knowledge on the evolution of the metal tolerance and hyperaccumulation traits, and to identify genes involved in metal homeostasis. We are implementing plant material from the pseudometallophyte model species Arabidopsis halleri in a multidisciplinary approach. By investigating genetically identical individuals in interlinked phenotyping experiments, genome–environment association studies and genome-wide association studies, we aim to provide deep insight in the ecological and genetic processes driving plant adaptation to heavy-metal contaminated soils. The research is conducted in southern Poland, including the Bolesław-Olkusz region (Cracow-Silesian Upland) where mining and processing of rich zinc–lead ore date back to the 13th century. 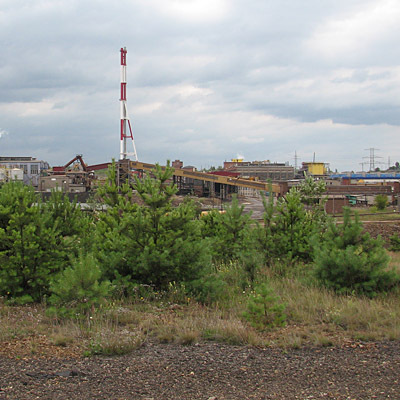 These industrial activities have created some of the largest and most polluted anthropogenic metalliferous sites in Europe, with waste heaps and dust deposits of different age, composition and metal concentrations. The target species Arabidopsis halleri is part of the specific calamine flora that has evolved in response to the selection pressure from elevated metal concentrations in soils and its populations are exposed to a wide range of stressful conditions related to metal pollution. 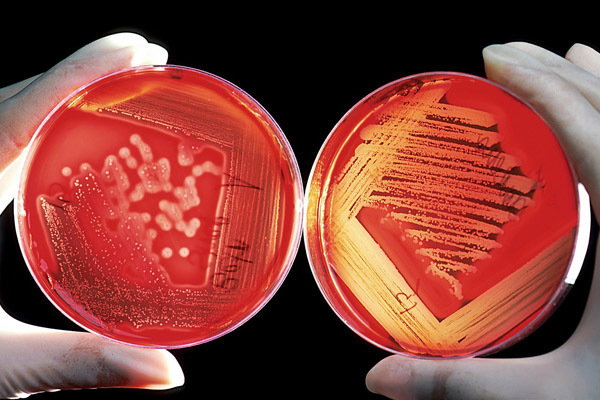 Our project integrates advanced ecological, microscopic, evolutionary and genomic techniques and the work is organized in five complementary modules. By linking contrasting phenotypes identified in a field reciprocal transplant experiment (Module 1 and 2) and under controlled laboratory conditions (Module 3) to specific genetic changes (Module 4) we will identify genes involved in metal homeostasis and assess their impact on metal uptake and allocation in plants from polluted compared to natural habitats (Module 5). Although repeatedly advocated, such comprehensive and multidisciplinary approaches have rarely been applied to date. * Arabidopsis halleri (Brassicaceae) is a small flowering plant that became a model organism in the field of plant biology and is also well known amongst ecologists. 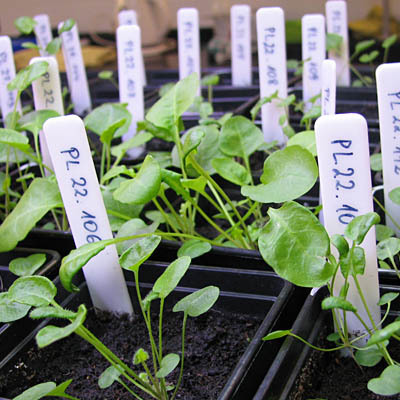 Arabidopsis halleri can survive and reproduce on soils contaminated by zinc and cadmium. It not only tolerates these metals, but accumulates and stores large amounts of them in leaves. 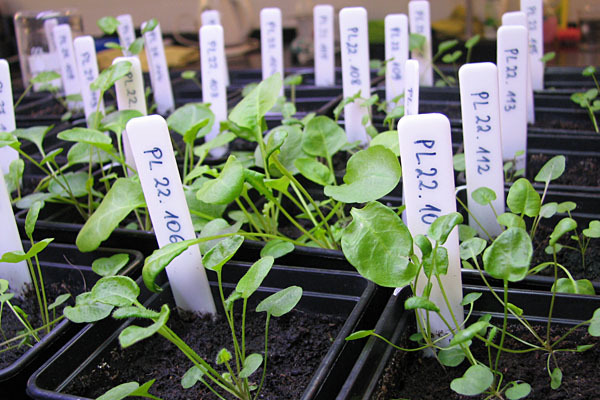 Metallic substances can constitute up to 3% of the weight of Arabidopsis halleri. At the same time, Arabidopsis halleri populations are also present at non-polluted sites, making it a so-called "pseudometallophyte". Follow the progress of the project. 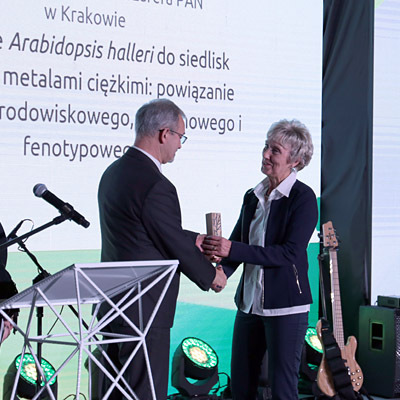 We are pleased to announce that Alicja has received a price "Polish Investments of the Future" awarded by the Polish Ministry of Investment and Economic Development, in the category "Innovation for the Environment". 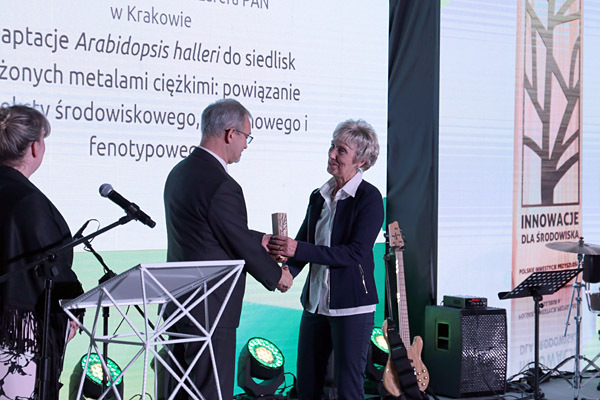 The award ceremony took place on the 6th of Dec at the COP24 meeting in Katowice, and its objective was to honour people who successfully implement ambitious environmental protection projects, proving that ecology and business can go hand in hand. 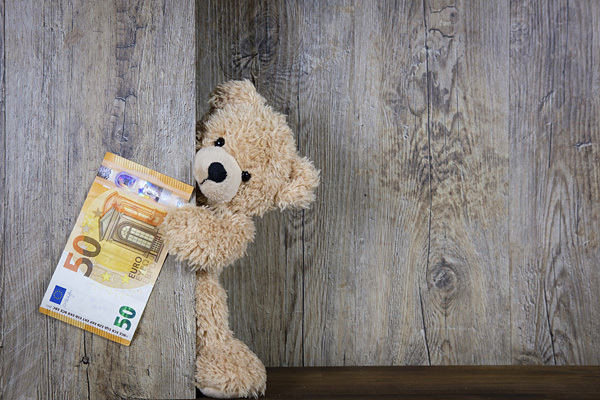 the prize „Polish Investments of the Future” description, (article in Polish). 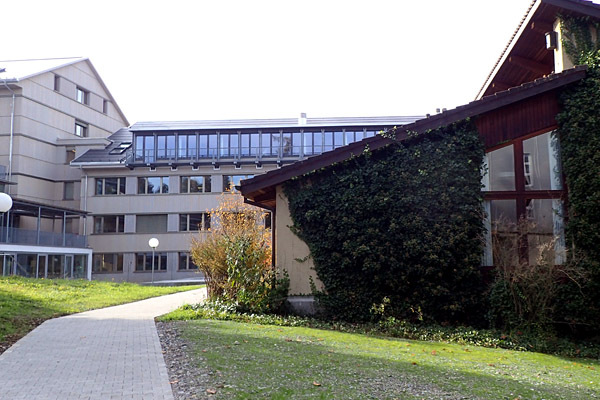 Biology19 conference on organismal biology, 7-8 Feb 2019, Zurich, Switzerland. The article entitled "Transmembrane transport and stress response genes play an important role in adaptation of Arabidopsis halleri to metalliferous soils" by Christian Sailer, Alicja Babst-Kostecka and colleagues has just been published in Scientific Reports. The study builds on the WSL researchers' experience with the genome of A. halleri and on previous research projects on the adaptation of plants to heavy metals and other environmental pollutants. By investigating the entire genomes of plants from contrasting locations with and without heavy metals, we found clear differences in the genome between plants from specific sites. 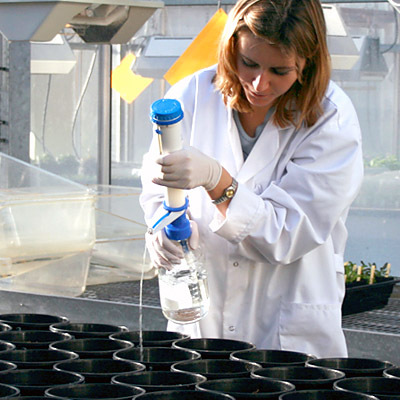 The identified genes control the reactions of plants to adverse environmental conditions. One reaction is the transport of metals into specific cell sections, the vacuoles, in which heavy metals and other toxins are stored and thus rendered harmless. Other reactions are part of the repair system that corrects damage to cell components or DNA caused by heavy metals. More information: WSL media release. Original publication: Christian Sailer et al. 2018. Transmembrane transport and stress response genes play an important role in adaptation of Arabidopsis halleri to metalliferous soils. Scientific Reports 8: 16085. DOI: 10.1038/s41598-018-33938-2. 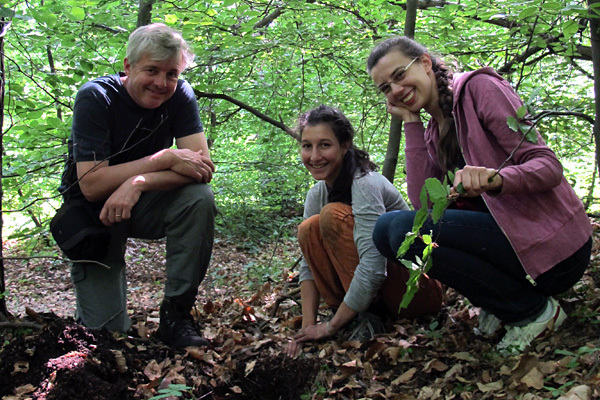 The interdisciplinary work within the AriaDNA project has provided us with excellent data that are improving our understanding of plant adaptation and responses to heavy metal contamination. In addition to the purely scientific merits of AriaDNA, we see great potential for its R&D results to be commercialized and thereby yield important socio-economic benefits. Indeed, the key findings of the project provide us with clear guidelines on how to improve the potential of phytoextraction for the remediation of industrially polluted soils. 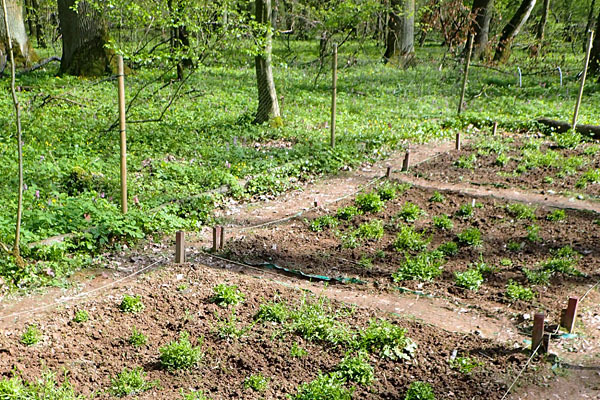 Expanding upon our previous work on the hyperaccumulating model species A. halleri, we plan to test the use of selected fungal and bacterial colonies to enhance its growth and metal accumulation on metal-polluted soils. This research need is being thoroughly evaluated with project collaborators Prof. Dr. Raina Maier and Dr. Julie Neilson and we are working on a proof of concept proposal to FNP. 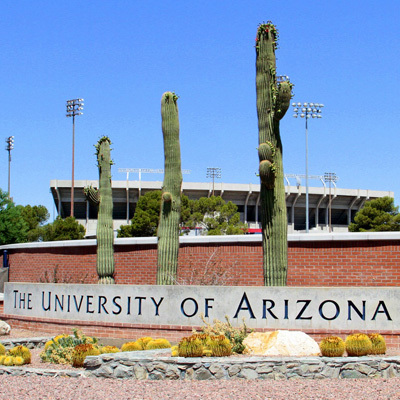 In parallel, using facilities and knowhow of Maier’s lab – one the world’s leading soil microbiology laboratories - Alicja is also generating some preliminary data during her research stay in the Department of Soil, Water and Environmental Science at the University of Arizona, USA. 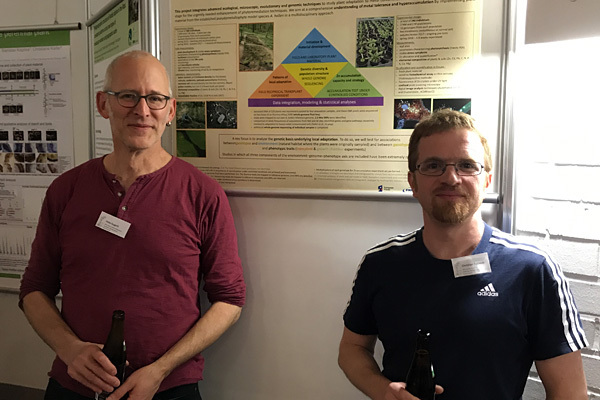 The presentation of our latest findings on Arabidopsis halleri at the 2nd Joint Congress on Evolutionary Biology in Montpellier, France (19-22 Aug 2018), during the session Microgeographic adaptation and adaptive landscape genomics met broad interest. 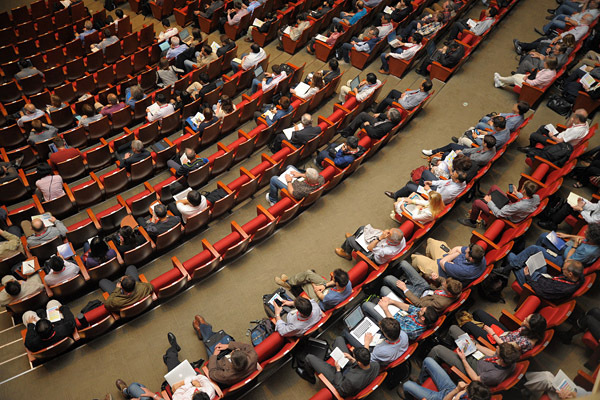 With about 2700 attendees and almost 60 countries represented, this was the largest and most international Evolutionary Biology meeting ever organized, showing the dynamism of our research field. The paper entitled "Evolutionary dynamics of quantitative variation in an adaptive trait at the regional scale: The case of zinc hyperaccumulation in Arabidopsis halleri" by Alicja Babst-Kostecka and colleagues has just been published in Molecular Ecology. In this paper, we explored the population genetic structure of A. halleri at multiple metalliferous (M) and non-metalliferous (M) sites in Poland. We identified a clear hierarchical structure with two distinct genetic groups at the upper level of clustering. Interestingly, these groups corresponded to different geographic subregions, rather than to ecological types (i.e., M vs. NM). 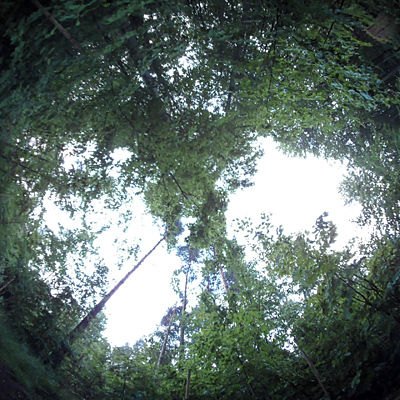 Our data suggests that the current distribution of A. halleri in southern Poland could be relictual as a result of habitat fragmentation caused by climatic shifts during the Holocene, rather than due to recent colonization of industrially polluted sites. 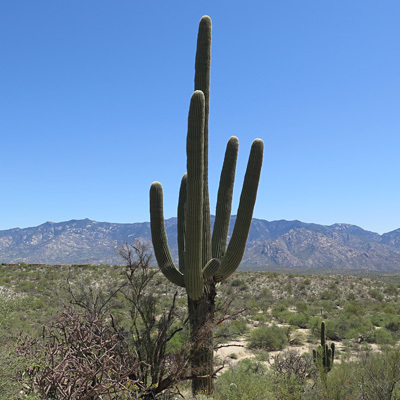 We found evidence that some NM lowland populations may have actually derived from M populations. 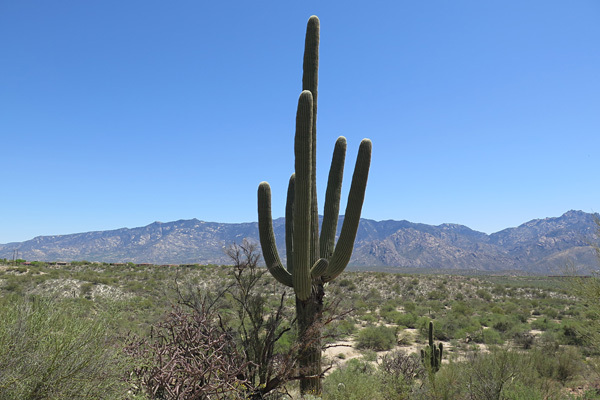 Meanwhile, the distribution of quantitative variation in zinc hyperaccumulation did separate M and NM accessions, indicating more recent adaptive evolution and diversifying selection between M and NM habitats. This suggests that zinc hyperaccumulation evolves both ways - towards higher levels at NM sites and lower levels at M sites. 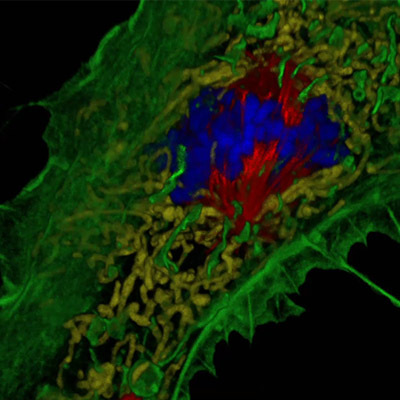 Original publication: Alicja Babst-Kostecka et al. 2018. Evolutionary dynamics of quantitative variation in an adaptive trait at the regional scale: The case of zinc hyperaccumulation in Arabidopsis halleri. Molecular Ecology 27: 3257-3273. DOI: 10.1111/mec.14800. Natalia Porada and Agnieszka Pitek successfully defended their master theses on July 12, 2018 and received perfect diploma scores. Extremely well deserved! It’s been a pleasure working with you and the best of luck in all your future endeavors! 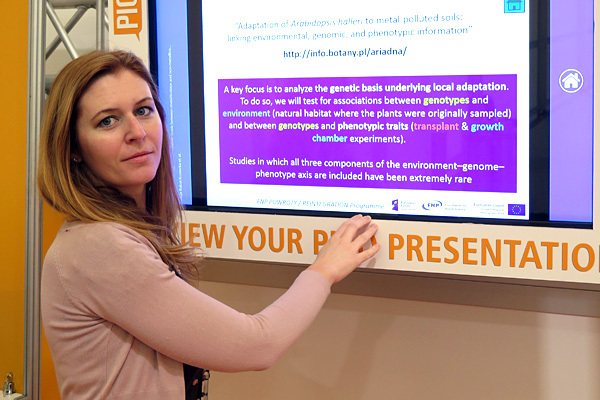 Adaptation of Arabidopsis halleri to metal-polluted soils: linking environmental, genomic, and phenotypic information – poster presentation by Alicja Babst-Kostecka & Christian Rellstab (and colleagues), 5–7 Feb 2018, Arabis Symposium 2018, Max Planc Institute for Plant Breeding Research, Cologne, Germany. One of our tasks is to study differences in Zn allocation strategies between metallicolous and non-metallicolous populations of Arabidopsis halleri. 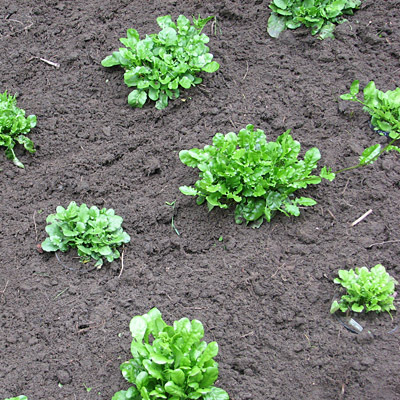 Plants have been cultivated in metalliferous soil under controlled conditions at IB PAS. Their growth, development and stress symptoms have been monitored for 6 weeks. 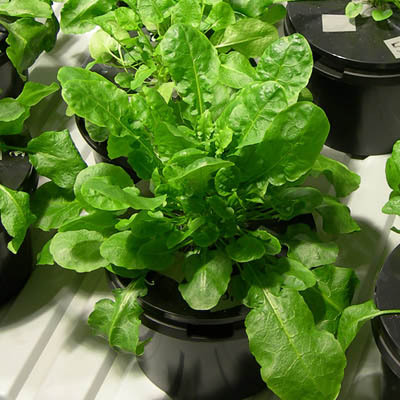 Subsequently, plants were transported to WSL for microscopic assessments. 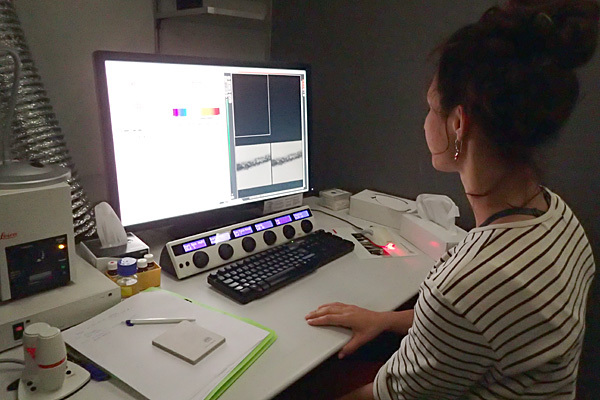 In the Swiss partner’s lab Barbara (PhD student) and Maïté (MSc student) are applying advanced light microscopy techniques (3D confocal microscopy) to assess and quantify Zn at the tissue level. 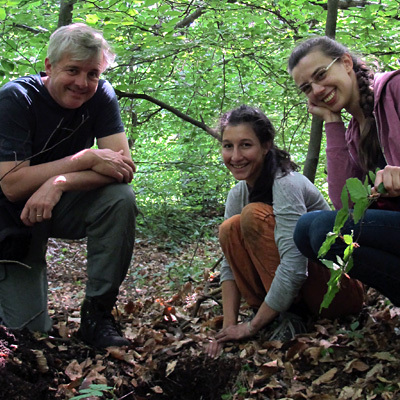 Pierre Vollenweider from the Swiss Federal Research Institute WSL came to Poland to visit AriaDNA’s experimental sites and natural locations of Arabidopsis halleri. After an intense and fruitful time in the field, Pierre transported experimental plants from the Zn accumulation experiment to Switzerland. There, these plants will be used in microscopy assessments of Zn allocation to the foliage. 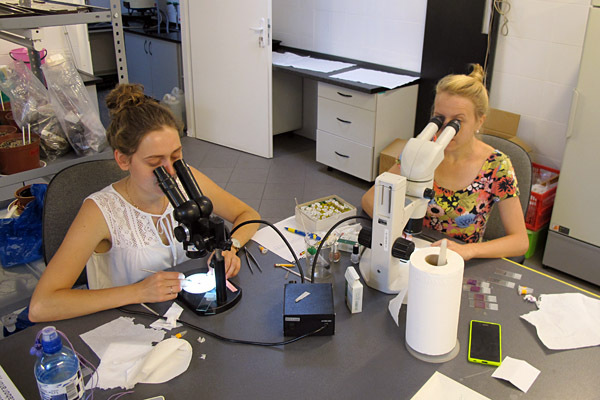 This last AriaDNA milestone will be achieved this summer by Barbara (PhD student) and Maïté (MSc student) at the Center for Microscopy and Image Analyses of the University of Zurich. We are pleased to announce that The Foundation for Polish Science (FNP) has accepted Alicja’s application to add additional research tasks and granted a respective increase of 79835 PLN to the AriaDNA project budget. Thanks to this addition, we will be able to extend our work on the effect of spatial heavy metal contamination on A. halleri root architecture. The novelty and strength of the ongoing AriaDNA project lies in both its integrative character, combining a variety of research methodologies and disciplines, and its relevance for the commercial and public sectors. Besides the purely scientific value of our combined genetic and physiological investigations, we see great potential for our findings to support the development of innovative remediation approaches. This application – i.e. 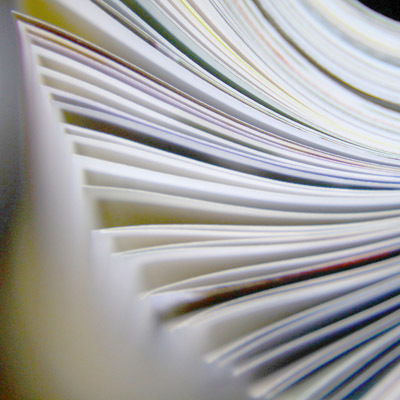 the sustainable management of mining waste – is outside the original project scope. However, as the significant health risks of environmental pollution are increasingly recognized by both scientists and the public, we feel that our results should be explored with respect to applied phytoremediation of metal polluted soils. Alicja’s research stay in Prof. Maier’s lab is a great opportunity to explore synergies and common research interests of both teams, as well as to discuss ideas for future research. 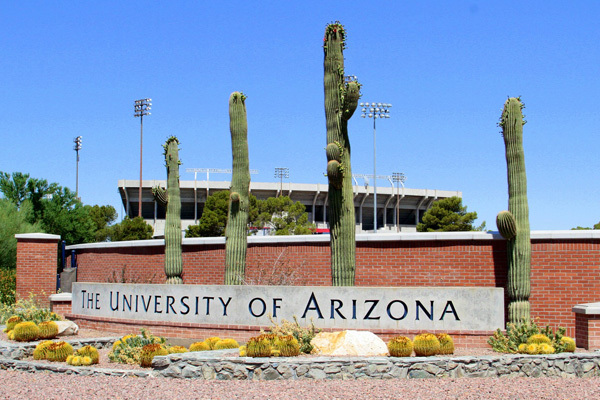 We are happy to welcome Professors Raina Maier and Julie Neilson from the world’s leading soil microbiology laboratory located in the Department of Soil, Water and Environmental Science (SWES) at the University of Arizona. Both are willing to share their expertise in molecular analyses of the soil microbiome in post-mining soils within AriaDNA. This new aspect is viewed as a promising addition to the AriaDNA project. We are looking forward to a fruitful collaboration. 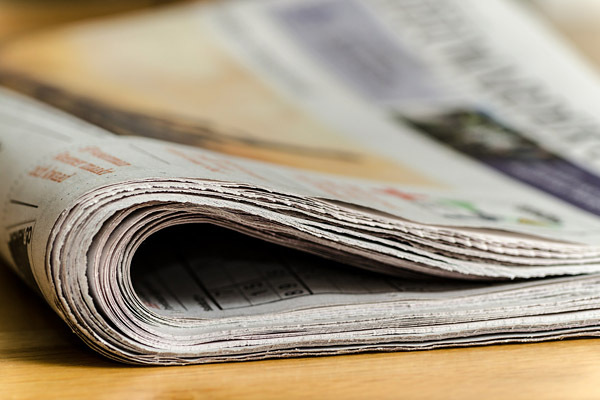 The Ministry of Economic Development (Polish: Ministerstwo Rozwoju) reported on the AriaDNA project under the „Naukowcy na start” section (p. 14–16) of the 46. Bulletin European Funds in Poland (Polish: Biuletyn Fundusze Europejskie w Polsce nr 46, Fundusze Europejskie na innowacje). 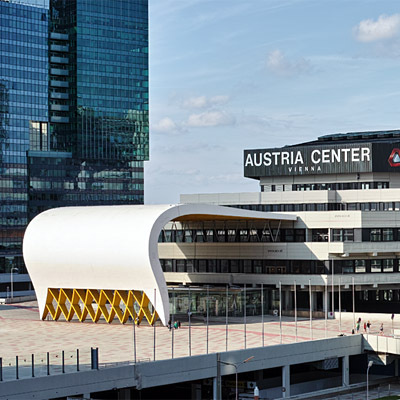 We are happy to announce that Maïté Buttet received the Early Career Scientist's Travel Grant for participating in the EGU General Assembly 2018 in Vienna (8-13 April). 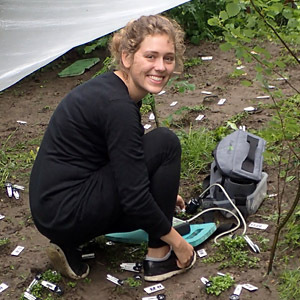 Maïté is going to have a PICO presentation Characterization of soil properties impact and tolerance strategies in Arabidopsis halleri – a typical species of metal-contaminated sites of southern Poland during the session SSS8.1 – Advances in bioremediation and biomining research. Congratulations Maïté! We are preparing for the last, but not least, experiment within AriaDNA that addresses differences in allocation strategies between metallicolous and non-metallicolous populations of Arabidopsis halleri. 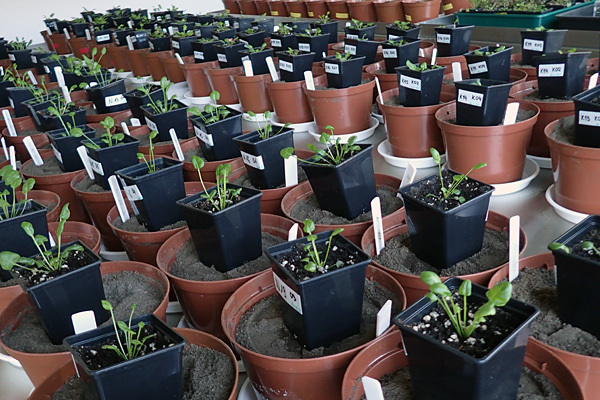 In this trial experiment, plants are growing in pots filled with soil that has been collected directly from the metalliferous site. We are testing multiple experimental conditions and physiological parameters to provide the best phenotyping approach to evaluate variability in the response to Zn exposure. 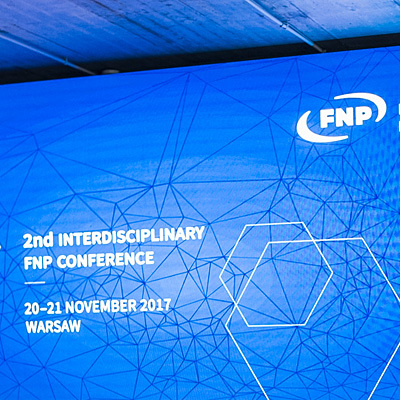 Alicja participated in the 2nd Interdisciplinary FNP Conference organized by the Foundation for Polish Science in Warsaw (20-21 November). 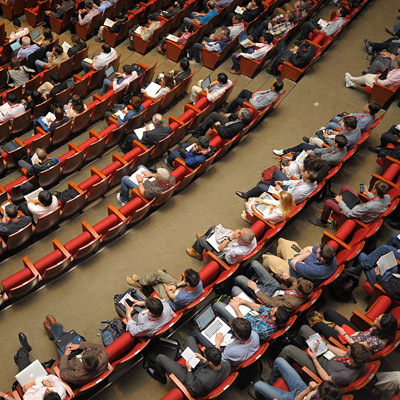 The conference was designed for project leaders and team members in projects that have received funding from the Foundation under the Smart Growth Operational Programme. It was an excellent opportunity to meet, exchange experiences, and socialize with other Foundation beneficiaries. Concurrent changes in root system architecture and functioning could serve as a basis for future phytomining approaches. 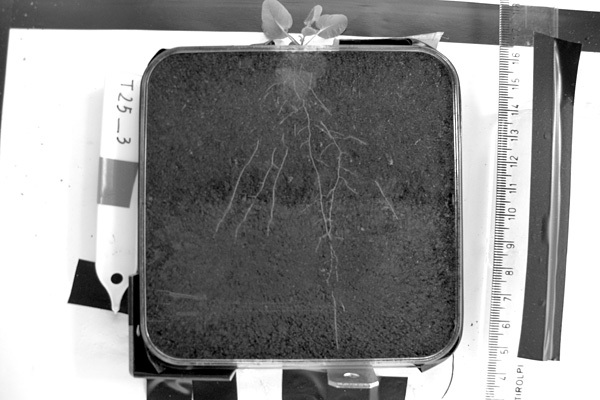 Accordingly, we have decided to evaluate the effect of spatial heavy metal contamination on Arabidopsis halleri root architecture. We tested these effects by germinating and growing seeds from two metallicolous and two non-metallicolous populations in treatments represented by different layers of metalliferous and normal soil. 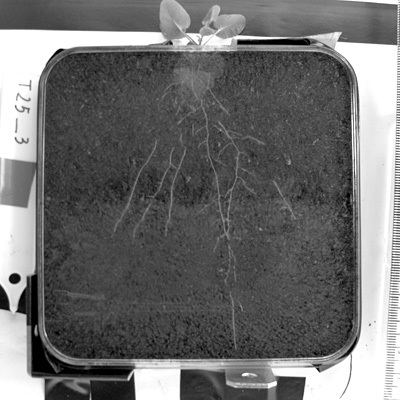 In order to continuously monitor above- and below-ground plant biomass production, we have developed a non-invasive phenotyping method based on rhizoboxes. 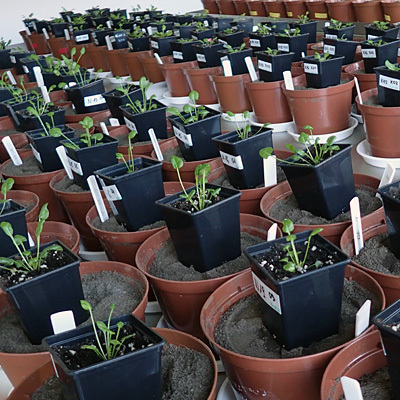 In the 2nd year of the reciprocal transplant experiment, we continued monitoring the growth, survival, fitness, phenology and herbivore consumption for the surviving transplant plants. The collected data will help to determine, if contrasted phenotypes of Arabidopsis halleri are locally adapted to metal-enriched soils. 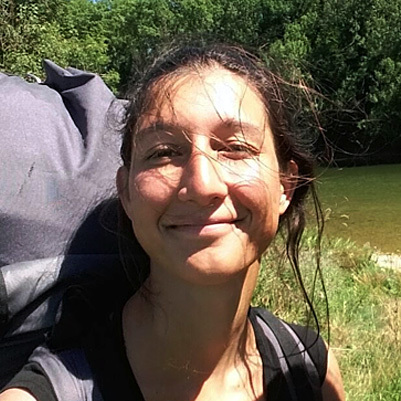 We are happy to announce that Maïté Buttet has joined the AriaDNA & METALink projects as a MSc student. 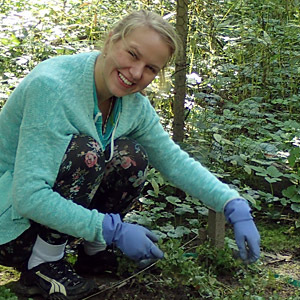 In her master thesis, Maïté will identify soil impacts on Arabidopsis halleri hyperaccumulation rates and assess differences in Zn allocation strategies between metallicolous and non-metallicolous populations. This interdisciplinary topic will be realized at the Université de Lausanne (under supervision of Prof. E. Verrechia), at WSL (under supervision of Dr. P. Vollenweider) and at the W. Szafer Institute of Botany PAS (under supervision of Dr. A. Babst-Kostecka). Welcome Maïté! 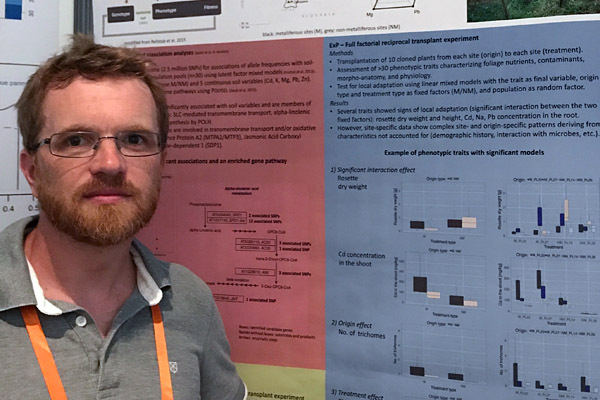 The presentations of our findings on Arabidopsis halleri at the 14th International Conference on the Biogeochemistry of Trace Elements (ICOBTE) in Zurich (16-20 July), within the Metal hyperaccumulators: extreme trace element biology and its applications symposium, met broad interest. 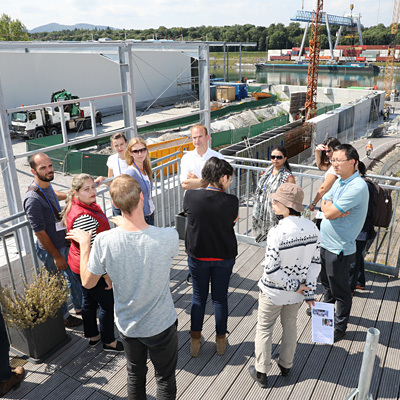 Besides valuable feedback, we greatly benefited from the post-conference excursion Landfill site remediation and long-term agricultural systems comparison trial, during which Roche Corporate Donations & Philanthropy presented the ongoing remediation of the Kesslergrube landfill on the German side of the river Rhine near Basel. 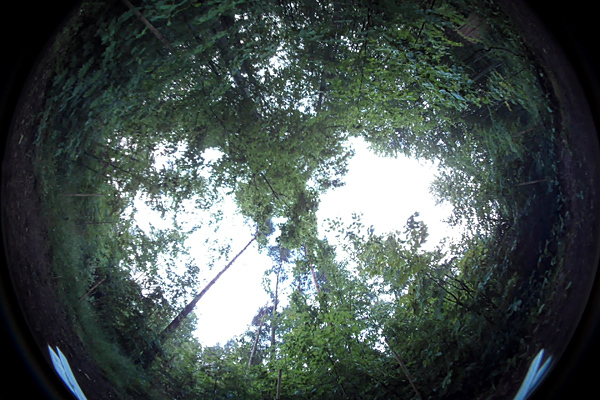 We took several hemispherical photographs within every experimental site and used the Hemisfer software to estimate the leaf area index (LAI) and the light regime. We are very grateful to Dr. Patrick Schleppi from WSL for his help and guidance through the entire process. 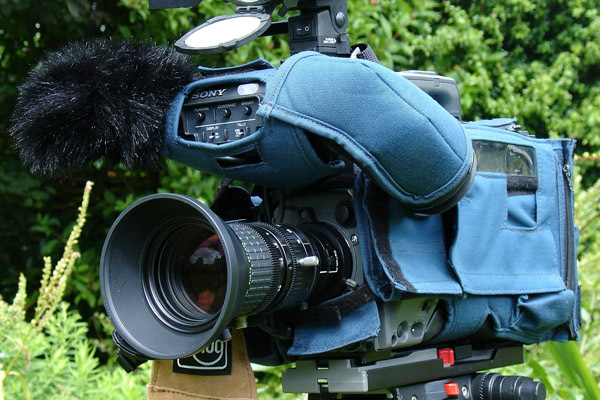 The Polish Public Television (TVP S.A.) visited our lab to film an overview of the AriaDNA project. In this documentary, Alicja is presenting the main steps and goals of the project, but also the way she obtained the European funds for this research grant. 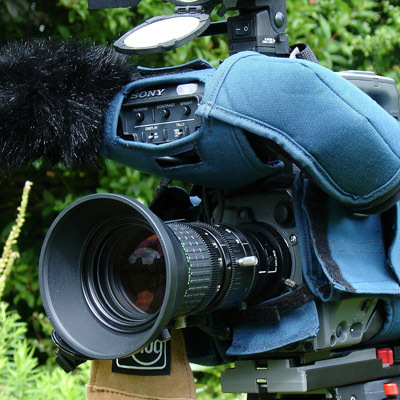 The documentary will be broadcasted on the 2nd of July at 8:45 in TVP1 channel, in the program European Funds – how does it work? 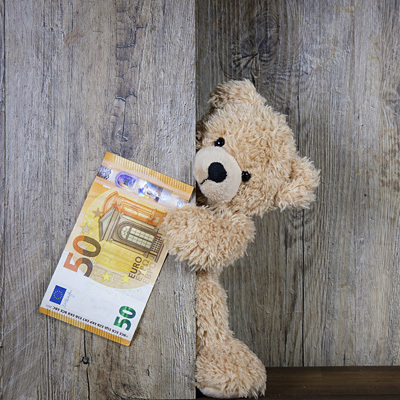 The purpose of this program is to visit various places and people that have benefited from the European Funds and share information on how to use European funds. Spontaneous vegetation in the development of land after mining for zinc and lead ores - oral presentation by Grażyna Szarek-Łukaszewska (and colleagues), 5-6 June 2017, The International Conference on Current Challenges in Forest Reclamation, Kraków, Poland. 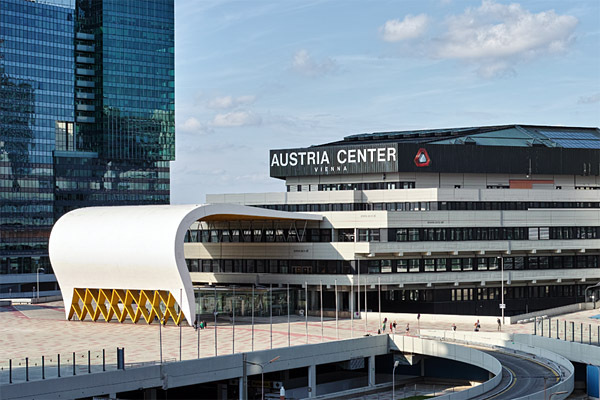 The PICO presentation of our findings on Arabidopsis halleri at the EGU General Assembly 2017 in Vienna (23-28 April), during the session Interdisciplinary approaches to improve bioremediation and biomining techniques and reduce soil pollution met broad interest. Besides valuable feedback we are happy that possibilities for new collaborations arose from this meeting. This summer we are going to present the AriaDNA's results at the 14th International Conference on the Biogeochemistry of Trace Elements (ICOBTE), within the Metal hyperaccumulators: extreme trace element biology and its applications symposium. The 14th ICOBTE will be held in 2017 in Zurich (16-20 July). The results will be presented by Alicja Babst-Kostecka (and colleagues) and Barbara Łopata (and colleagues). 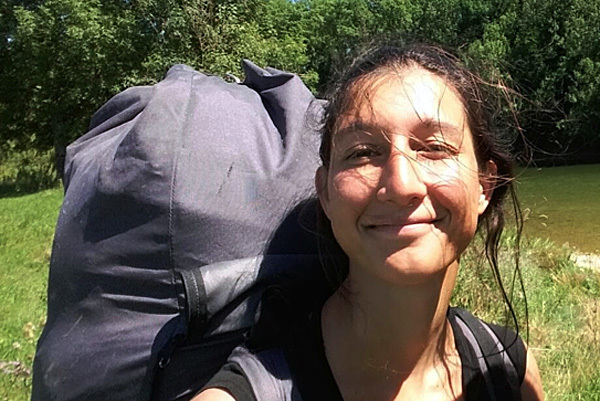 The AriaDNA project welcomes two MSc students! We are happy to announce that Natalia Porada and Agnieszka Pitek have joined our team as MSc students. Welcome girls! After a long winter in the lab, the AriaDNA team starts the 2nd field season of observations and measurements on the plants in the reciprocal transplant experiment. The goal of this experiment is to compare the performance of plants at the metalliferous and non-metalliferous sites, and to assess adaptive differentiation between "less tolerant" and "hyper-tolerant" genotypes. New team member in our partner lab at WSL. 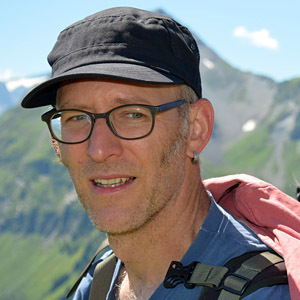 We are happy to announce that Christian Sailer joined our partner project METALink to support the work on the genomic data. We are looking forward to a fruitful collaboration. 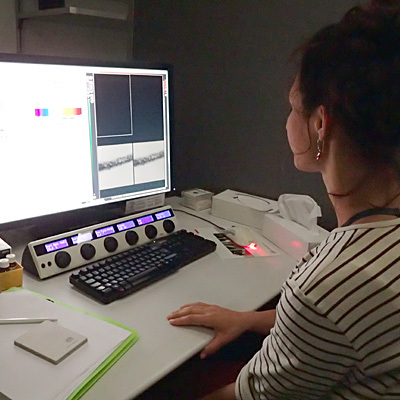 Our PhD student Barbara Łopata participated in the advanced microscopy course organized by the Center for Microscopy and Image Analysis at the University of Zurich, Switzerland (Jan 22-27, 2017). 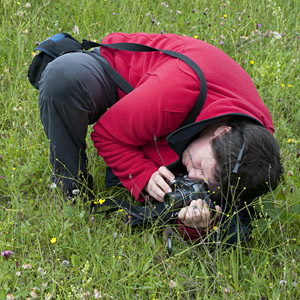 Barbara is going to apply advanced light microscopy techniques (e.g. 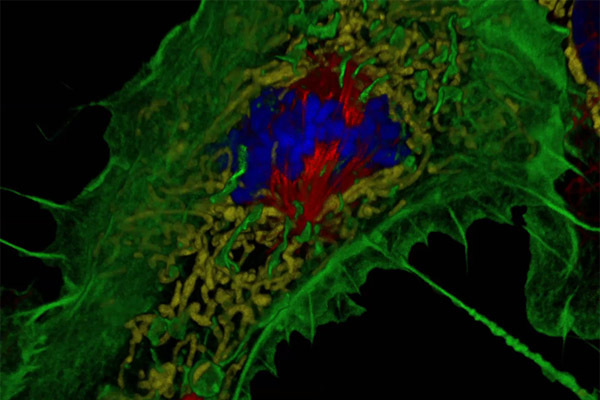 3D confocal microscopy) in the AriaDNA project to assess and quantify Zn. The aim of this task is to verify if causes of adaptive differences between metallicolous and non-metallicolous populations of Arabidopsis halleri can be identified at the morphoanatomical and structural level. Multiple xeromorphic adaptation characteristics (e.g. cuticula thickness, epidermis thickness...) have been determined for each sample collected from the reciprocal transplant experiment. The collected data will further help us assess genotypic adaptation and phenotypic adjustments to metal contamination. Within this task, we analysed wholes genomes of population pools (Pool-Seq). Based on the Pool-Seq and subsequent association analyses, we will select candidate genes that will be sequenced at the individual plant level. So far we have extracted the genomic DNA of each individual collected in Sep 2016 and produced population pools. 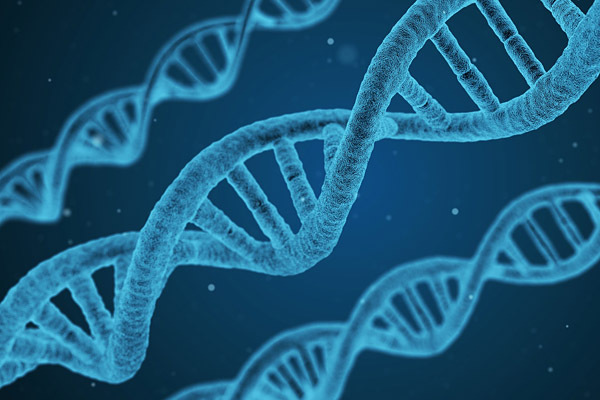 The DNA pools have been sequenced using Illumina HiSeq2500 system and the resulting reads are currently being mapped to the available reference genomes. The AriaDNA project welcomes a new PhD student! We are happy to announce that Barbara Łopata has joined our team as a PhD student. We are looking forward to a fruitful collaboration. Welcome Basiu! The novelty of our multidisciplinary approach is based, amongst other things, on the idea of investigating replicates of the same genotypes in several independent modules. To ensure appropriate plant material for upcoming tasks in the AriaDNA project we are maintaining and periodically renewing the plant collection, producing new replicates of each genotype by asexual multiplication. We have a fruitful scientific exchange with the MetaLink project (IX.2016-XII.2017) led by Felix Gugerli Künzle. This project is funded and conducted by the Swiss Federal Research Institute WSL and its objectives are complementary to those of the AriaDNA. We also have a commercial partner, ZGH Bolesław S.A. It is one of the leading zinc producers in Poland and exports electrolytic Zn, alloys, and other products into the European Union. 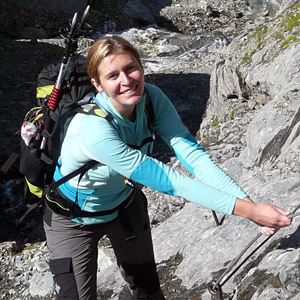 This partner supports our research by permitting and facilitating the sampling and monitoring of metalliferous sites. 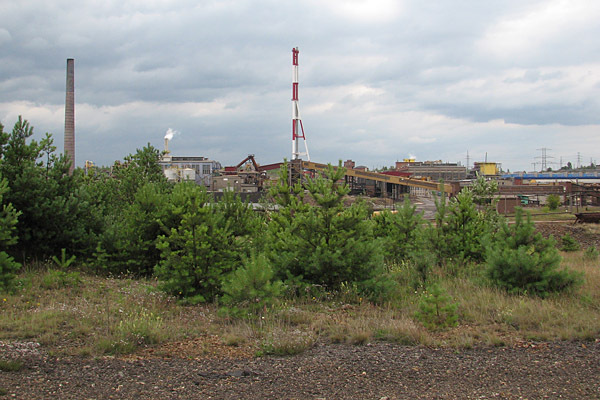 The authorities of the town of Bolesław are promoting outcomes of the AriaDNA project to raise public awareness of the environmental pollution topic. Project results will further be disseminated through poster presentations and other community-level activities. 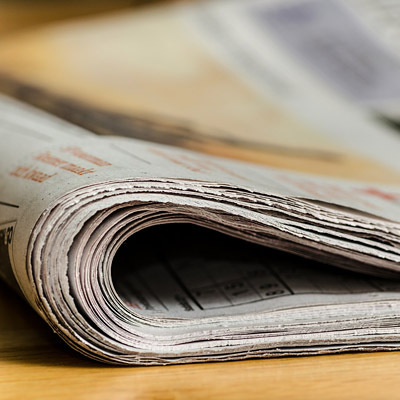 Polish Press Agency (Polska Agencja Prasowa, PAP) reported on Arabidopsis halleri and the AriaDNA project under the Science in Poland press release section. The article by Ewelina Krajczyńska can be found here (in English) or here (in Polish). The reprints of this article can be found on numerous webpages, including the one of the Ministry of Science and Higher Education (link). One of our tasks is to study contrasting phenotypes of Arabidopsis halleri in the field reciprocal transplant experiment. During the past vegetation season we monitored the growth, survival, fitness, phenology and herbivore consumption for transplant plants. Now, we are proceeding with analyses of digital images that have regularly been taken of all plants throughout the entire season to track their development. We are also assessing the percentage of leaves showing visible symptoms of Zn toxicity and its relation to multiple parameters characterizing photosynthesis. 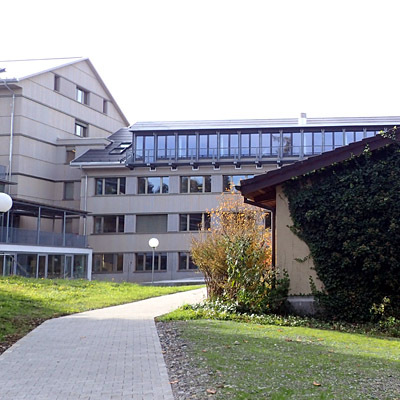 The project was launched on Monday, 19 September 2016, with a one-day workshop held at the Swiss Federal Research Institute WSL (Birmensdorf, Switzerland). 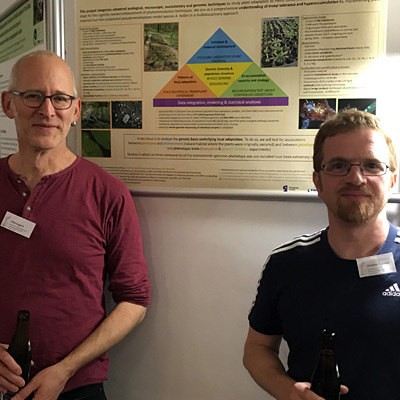 This meeting successfully brought together researchers with expertise in plant physiology and genomics who discussed and outlined promising avenues for research and collaboration within the AriaDNA project and beyond. 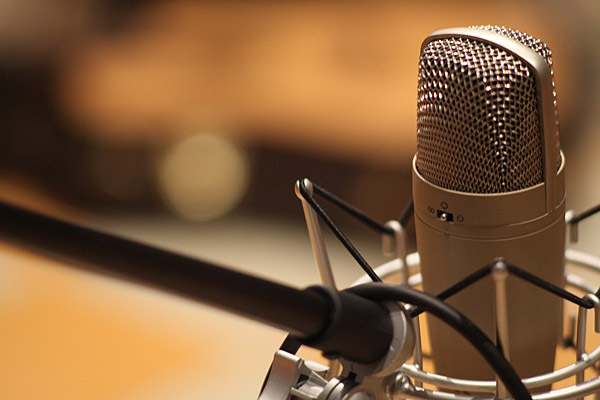 Alicja Babst-Kostecka and Tomasz Poprawka (Foundation for Polish Science) were invited to the Polish Radio RDC to talk about the POWROTY / REINTEGRATION programme. The broadcast can be found here. We are pleased to announce that the AriaDNA project by Alicja Babst-Kostecka was among the five winning projects of the first POWROTY / REINTEGRATION programme competition. 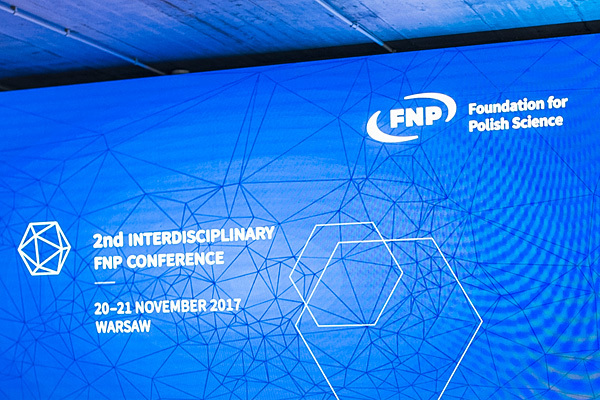 "The Foundation for Polish Science (FNP) has announced the results of the first competitions organized in the HOMING and POWROTY / REINTEGRATION programmes. 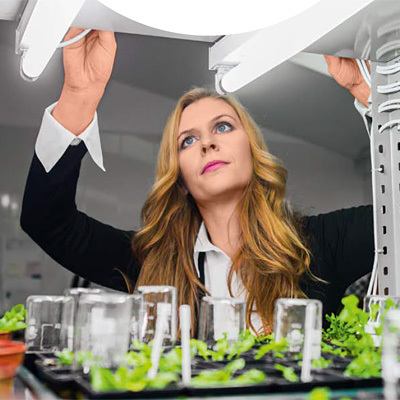 Eighteen young scholars will receive financing to the total amount of PLN 13 million for implementation of innovative R & D projects in Poland. The funds come from the Smart Growth Operational Programme" (source: FNP web page). "The aim of the POWROTY / REINTEGRATION programme is to improve the human potential in the R & D sector by financing innovative projects designed as postdoctoral fellowships, carried out by young doctors (postdocs) from all over the world (regardless of nationality), returning to scientific research after a break in R & D work, at research units or companies in Poland, working in the most innovative areas, with the involvement of a scientific partner, i.e. 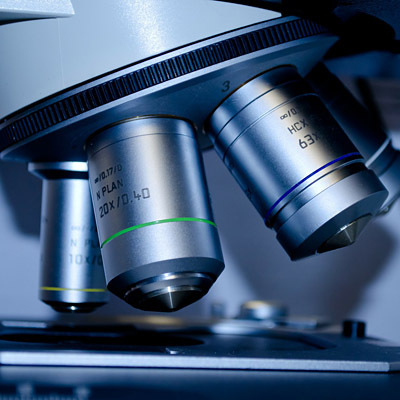 local or foreign research partner" (source: FNP web page). 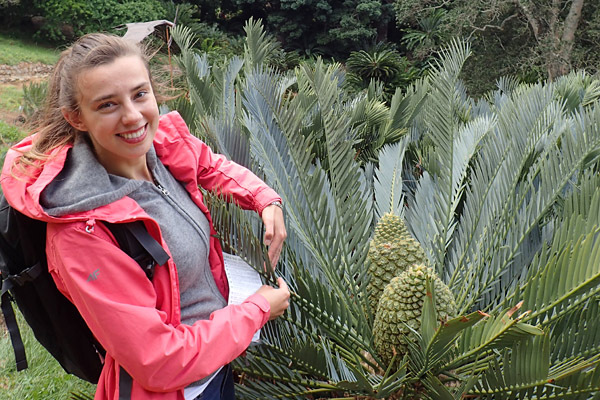 Alicja is a researcher at the Department of Ecology of the W. Szafer Institute of Botany PAS and a guest scientist at the Swiss Federal Research Institute WSL. Alicja leads and coordinates all research tasks, co-supervises the PhD student and mentors MSc students, is responsible for the dissemination and promotion of the project outcome. Barbara is in the AriaDNA project since November 2016. 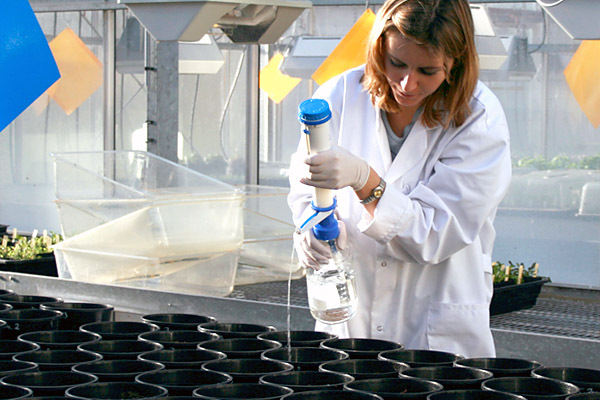 She is conducting the reciprocal transplant experiment, maintaining the greenhouse plant collection, studying the leaf structural changes and Zn allocation strategies. Barbara will also co-mentor our MSc students. 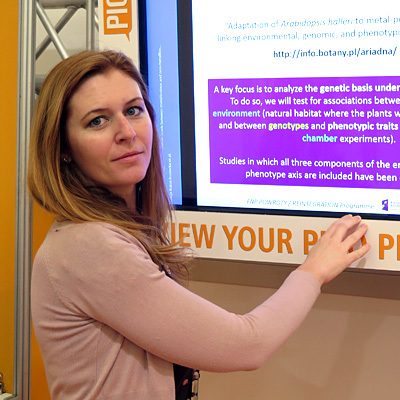 Grażyna is a senior researcher at the Department of Ecology of the W. Szafer Institute of Botany PAS. 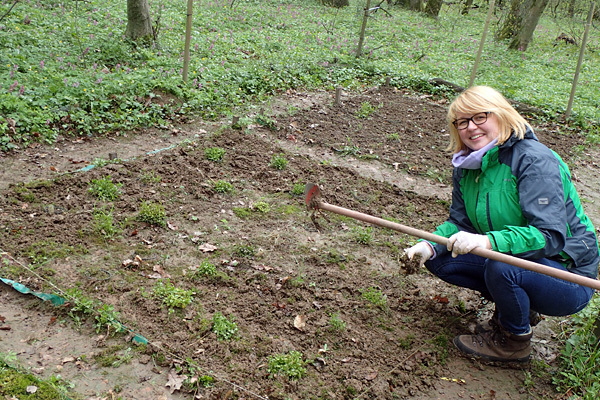 She supervises PhD student Barbara Łopata and supports tasks related to the field and greenhouse experiments. 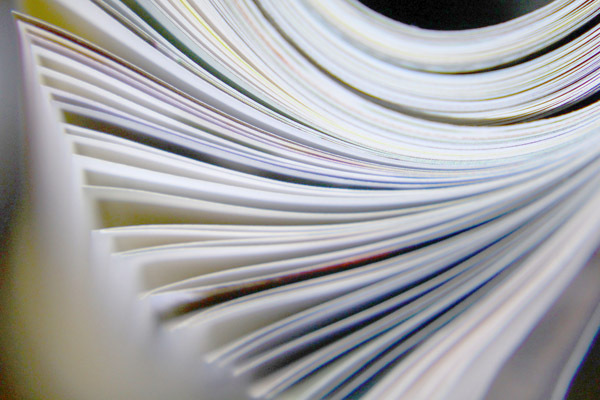 Grażyna is also actively involved in the dissemination of AriaDNA progress and results through regular contact with partners from the commercial and public sectors. Pierre is a senior researcher at the Swiss Federal Research Institute WSL. 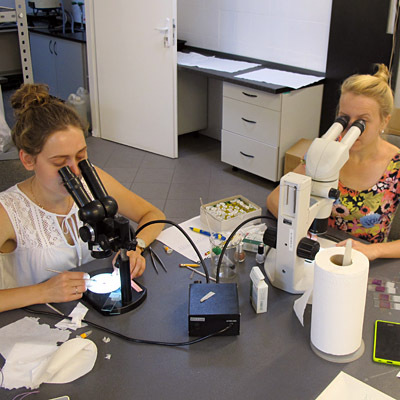 Pierre’s primary role in the AriaDNA project is to support the microscopic analyses of plant material and co-supervise PhD student Barbara Łopata. 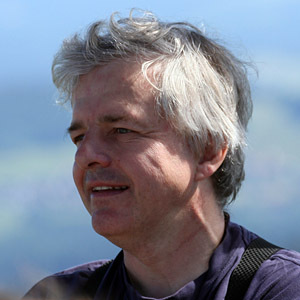 Pierre provides connections to the Center for Microscopy and Image Analyses of the University of Zurich. 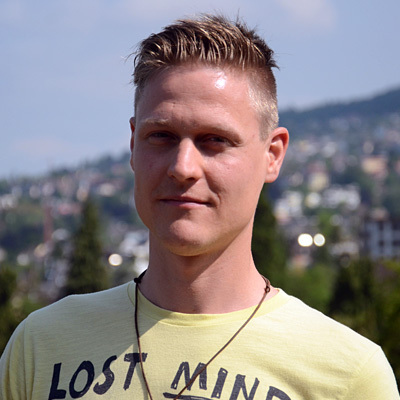 Felix leads the "Ecological Genetics" group at the Swiss Federal Research Institute WSL. 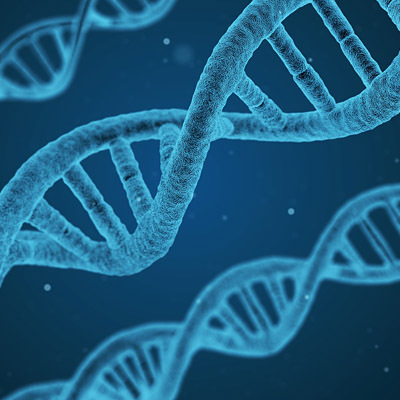 Felix’ primary role in the AriaDNA project is to guide the genetic analyses by implementing the newest genomic techniques. 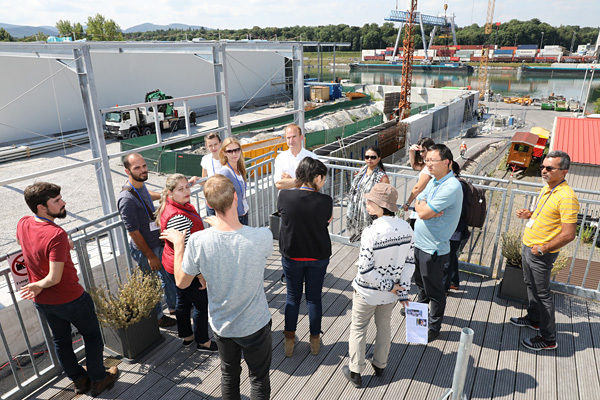 His lab offers unlimited access to highest-level equipment at WSL and the Genetic Diversity Centre at the ETH Zurich. 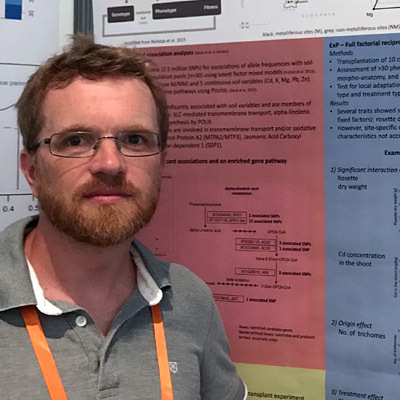 Christian is a senior researcher at the Swiss Federal Research Institute WSL affiliated also with the Genetic Diversity Centre at the ETH Zurich. Christian’s primary role in the AriaDNA project is to support genomic analyses and development of the bioinformatics pipeline. 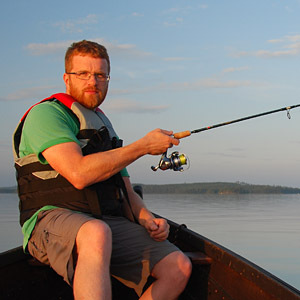 Christian will also lead the environmental association analyses and genome-wide association studies. 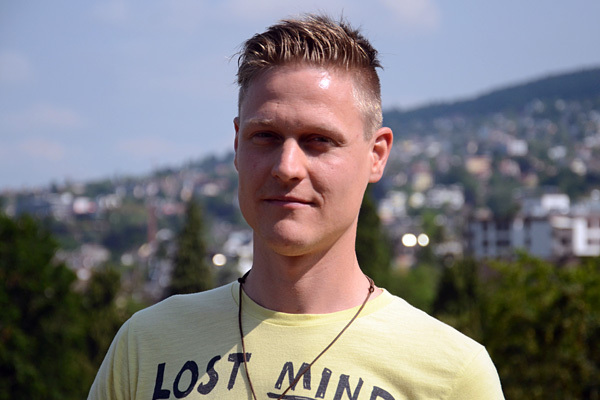 Christian is a PostDoc in the METALink project at the Swiss Federal Research Institute WSL. His work includes whole-genome re-sequencing of plants from metalliferous and non-metalliferous sites, for which he is establishing a bioinformatic pipeline. 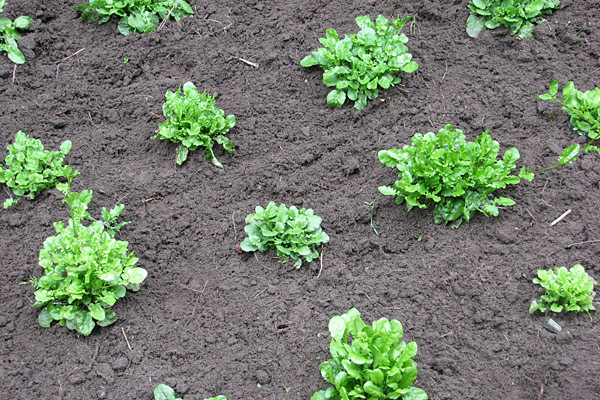 He will then search for signals of adaptation to soil contamination in in the Arabidopsis halleri genome. 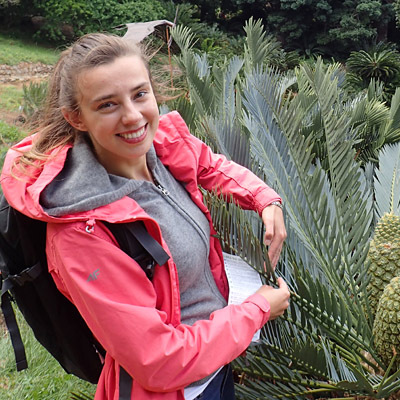 Natalia will support the maintenance of the greenhouse plant collection and participate in the reciprocal transplant experiment during the ongoing field season. 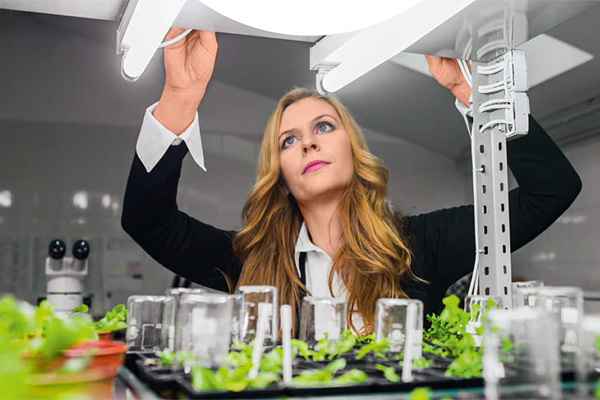 In autumn 2017, Natalia will perform germination, vigor, and pollen viability tests in the lab. Agnieszka will participate in asexual genotype multiplication and the experiment of Zn accumulation under controlled conditions. 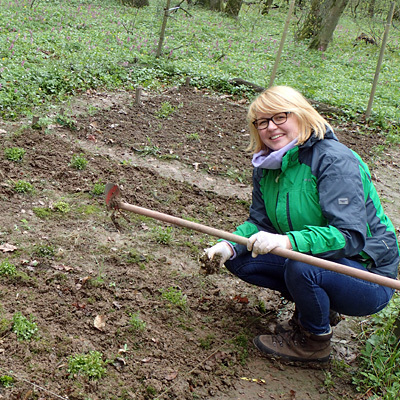 She will also take part in chemical analyses of plant and soil samples, and help us to archive material. We are welcoming Bachelor and Master students for training in our group on several topics related to the AriaDNA project. If you are interested in joining us, please send me (a.kostecka@botany.pl) an e-mail, explaining your research interests and your motivation to work in our lab and attach a recent CV. 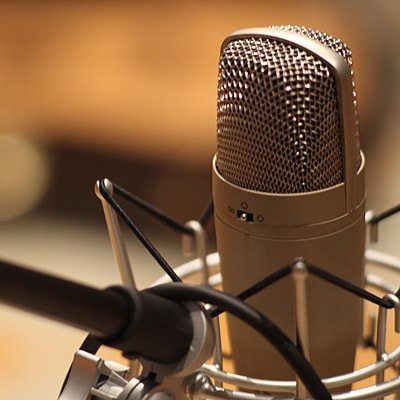 If you have any questions about the AriaDNA project, please don’t hesitate to contact us.